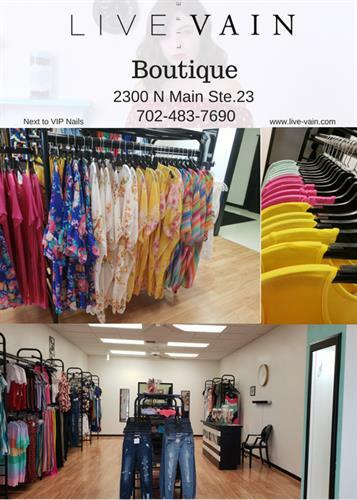 Live-Vain was initially established as an e-commerce women's boutique in 2016 in Las Vegas Nevada. We have since then opened out first store location in Clovis, NM. Our fashion selection ranges from contemporary, classic, urban, modern and chic. Our fashion sizes are S-3x. Our customers dress and live beyond the opinion of others and by theirs alone. We carefully select merchandise with our customers always in mind. We also like to push the envelope with new trends and daring styles.